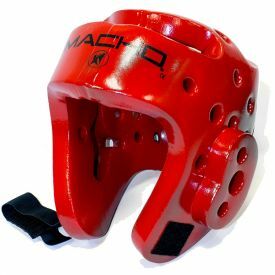 The Macho universal face shield features an easy on/off design and fits all standard Macho foam headgear and most other brands. 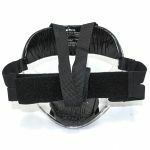 It sits further away from the face to increase comfort, breathability, and clear vision. 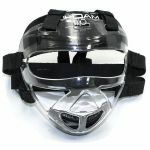 The anti-fog shield is designed to meet the new tournament rules requiring face protection. Fits all sizes. 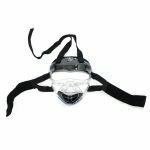 This face shield is different from other shields in that it features a thin layer of foam padding around the interior edges of the shield. 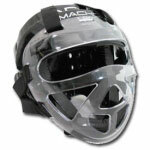 This Macho Universal Face Shield is only available with the black foam backing. 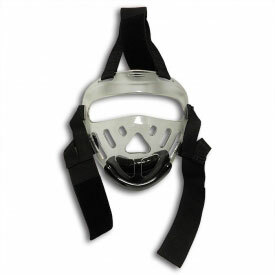 The black foam on the back of the face shield looks great with all colors of macho headgear.